Are you looking for Center Based ABA in Middlesex County, NJ? 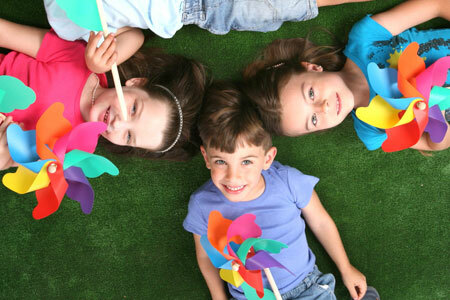 New Direction ABA is an experienced and reliable provider of Center Based ABA in Middlesex County, NJ. At New Direction ABA, we provide intensive ABA center-based services for children with autism and related disabilities. We focus on goals that encompass the full range of a child’s emerging skills and daily routine, teaching functional and adaptive skills. The program is based on Applied Behavior Analysis (ABA), which is recommended as the most efficient, empirically-based treatment for children with Autism and related disabilities. Our Center Based ABA in Middlesex County, NJ is administered by trained Behavior Technicians in one-on-one sessions under the supervision of a Board-Certified Behavior Analyst (BCBA). New Direction ABA’s center based ABA also includes training and collaboration with parents and family that benefits the entire family 24 hours a day, seven days a week, thereafter. We make sure that the progress is being made and treatment goals are advancing. New Direction ABA offers support for your child who may be having difficulty with learning a particular skill or behavior. Our staff will observe your child to determine what may be causing the problem behavior. Parent training is an integral part of your child's successful acquisition of skills. Evidence based research has found a direct correlation between family involvement to acquisition of skills. Parent training consists of a 4-tiered approach: discussing, modeling, doing, and providing feedback. This approach will continue until the family member feels comfortable providing the intervention and can implement it by themselves. Early Intensive Behavioral Intervention (EIBI) is a type of ABA focused on children under five years of age. New research has shown that while intensive behavioral interventions work well with all children, children starting before the age of two were likely to make the most significant gains. For EIBI to be most successful, children are provided with 20 to 40 hours of one-on-one therapy and families are also incorporated into the process so that young children get as much exposure as possible. EIBI uses the principles of behavior analysis to increase positive and appropriate behaviors and decrease undesired behaviors such as tantrums, aggression, and self-injury. It is a highly structured approach for teaching children under the age of five. EIBI sessions are customized for each child’s skill level. A Board Certified Behavior Analyst works with the child and family to address specific . behaviors that are carefully defined in observable terms, measured, and recorded. The EIBI provider will then track the child’s development in learning, communication, self-care, and social competence. More complex tasks are broken down into easy to achieve units of behavior as the child develops skills. Research conducted in 2014 found clear evidence demonstrating that toddlers with autism made significant gains in increasing desired behaviors and decreasing unwanted behaviors. Notably, the greatest gains were seen in children who started treatment programs before they were two-years-old. An earlier 2009 meta-analysis of studies also found encouraging evidence that EIBI is effective. These researchers strongly recommend EIBI for children with autism and encourage parents to start this treatment as early as possible. While EIBI has an extensive track record of research indicating positive outcomes dating back to the 1960s, EIBI treatment has evolved a great deal since its inception and a large body of recent research supports its use. These two recent review studies mentioned above conclude that EIBI is one of the most effective approaches for young children with Autism. New Direction ABA has extensive experience helping children with autism and related conditions and their families create and implement effective strategies to help children develop strong life skills and become happier and more productive in all phases of their lives. For more information about our Center Based ABA in Middlesex County, NJ, call New Direction ABA at 201-577-1443. 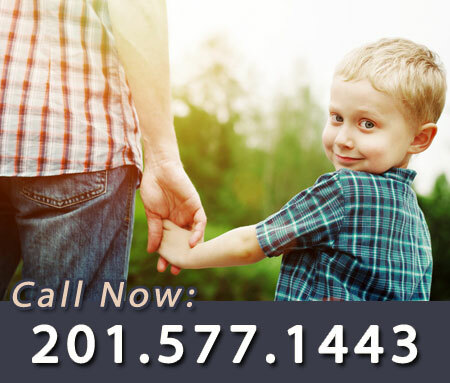 New Direction ABA – Your trusted therapists for Center Based ABA in Middlesex County, NJ.